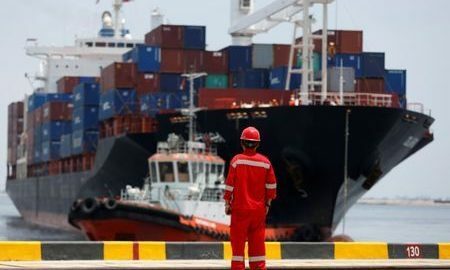 JAKARTA (Reuters) – Indonesia will send a team to the United States to lobby for preserving special tariff treatment for some Indonesian exports under a programme for poor and developing countries, a government official said on Monday. Friday’s imposition of tariffs on some of China’s exports to the United States has caused some concern in Jakarta as Indonesia could be facing the loss of some trade preferences given by Washington for some Indonesian goods. In April, the US Trade Representative’s Office said it was reviewing the eligibility of Indonesia, along with India and Kazakhstan, for the Generalized System of Preferences (GSP) based on concerns over compliance with services and investment criterion. “We will send a team to the US to negotiate so that the GSP facility is maintained,” Oke Nurwan, director general of foreign trade at Indonesia’s trade ministry, told reporters on Monday. Under GSP, Indonesia gets reduced tariffs on about $2 billion worth of US exports, including some agricultural, textile and timber products, Shinta Widjaja Kamdani, deputy chairwoman of Indonesia’s employers association, said in a statement. Total exports to the US were $17.8 billion, data from Indonesia’s trade ministry showed. Indonesia ran a $9.7 billion trade surplus with the United States last year. Kamdani said that keeping Indonesia in the GSP programme would benefit small- and medium-sized companies as well as US consumers by “providing them good quality products with affordable prices” and also by diversifying US import dependence on other countries. Yesterday, Indonesian policymakers met to discuss the US-China trade war and the GSP review, and the cabinet on Monday was expected to discuss trade issues in the wake of a US-China trade war. Also on Monday, Indonesia’s central bank governor Perry Warjiyo said such a trade war would hurt Indonesia and other economies. Indonesia would respond by strengthening domestic demand, controlling its current account deficit and attracting capital inflows, he said.